I declare right now that I do not like broad beans! I never have, despite Mother making me eat them every summer. Hubby has asked for a salad which includes the awful things, and I am obliging (just this once!) and am using a recipe! My Mother was not the World’s Greatest Cook!!! So, I am in shock for several reasons and I’m even contemplating eating one of these beans!!! The answer to these and other World Changing questions can be found in The Afterlife. On with the rest of the salad…. 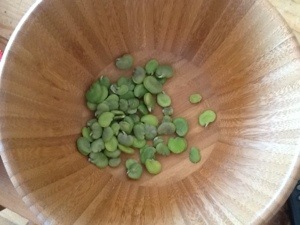 Author thebissonPosted on June 30, 2013 Categories thoughtsLeave a comment on Broad beans? Oh no! So, the golf’s off then? 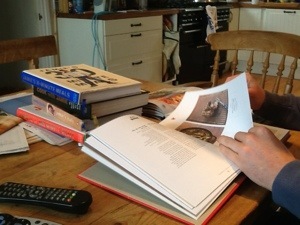 I am sitting a the kitchen table watching My Men hunt through “our” favourite cook books for something to create tonight. 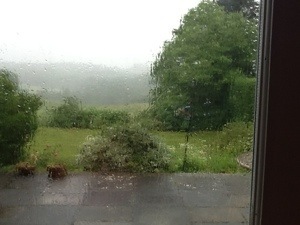 This is June, we have just passed the Solstice, and outside it is more like Autumn! First trip outside with the dog was wet and wild, to say the least…but not very cold. We came back inside for tea(for me) and breakfast for the dog and dried off. And here we are, 3 hours later, the rain has almost stopped, but the trees are still fighting to get free from the garden, yoga has been done, the golf is cancelled officially,the Lions v Australia rugby game is on pause (we cant miss it! ),and The Men are deciding what we shall have. I am rather glad the golf if off…I am a fair weather player, and as this game was to put in a card for my handicap (again!) there is no point in this wind! So, the big question of the day now is…. Lamb, Salmon, or Chicken??.. Author thebissonPosted on June 22, 2013 June 22, 2013 Categories thoughtsLeave a comment on So, the golf’s off then? I have just listened to the news that the Guides have taken out of their “promise” the reference to serving God. I was a Brownie and Guide, and I was brought up believing in God, and serving others. I am not sure how well I have done ( that’s not for me to say), and it is many years since I went to Church regularly…in fact I am in an odd place of trying to decide what exactly I believe in- God or some other Power. What is beginning to concern me tho is where this country is going regards whether we are a Christian Country or not. The young of our nation have so few good role models in the papers; there doesn’t seem to be much of an Identity, of what it is to be British. Now we are taking away another notion – that we are Christians. I am a believer in freedom of speech, and religion, but I am beginning to wonder if those religions that are very pro-active and give a strong guidance to how to live your life will gain a strong-hold here in the UK as our Young look for guidance. Is this not why the Terrorist side of other religions are gaining more and mor e young followers? The worrying side of that is those minority followers give the majority of believers a very bad name. I am not able to give any answers, I am just thinking that we need to give our young ones guidance, and rules to live by until they are of an age to make up their own minds. Those rules should help them to live “good” lives that help them and others to live in a community, to support themselves and the community without hurting anyone else. 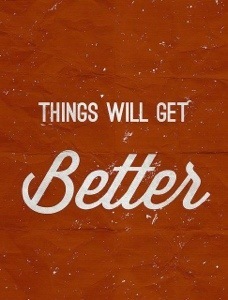 Ok, that’s my thought for the day. 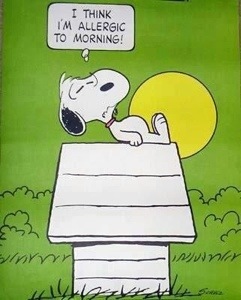 I’d better get up now! 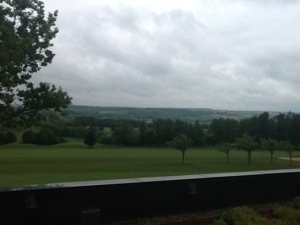 I am sitting in a French Hotel on a golf course and watching…well, yes, some golf, but mainly the clouds! It could be anywhere in the UK with this weather! Why? We are on Hubby’s first official golf refereeing trip. He is, I think, the only R&A referee here. We are at St.Omere in Northern France which is so close to home we over shot it last night! I blame His crappy SatNav and the fact we are used to getting off the Channel Tunnel train and having to schlep it down to the South of France ( not for 6years tho! OMG how time has flown!). The hotel is comfortable if utilitarian- friends had warned me about it so I dutifully packed a kettle, tea, milk, iron etc…but no mugs!! So no tea first thing this morning! I shall be purchasing a couple of mugs shortly!!! In a way I feel like the spare part. You know, the girlfriend at the boys weekend away? I am the only wife here I think, as most of the other refs are professional ones…hubby still has a full time job…well, he has to keep me in my little treats! Teehee! So why did I come? Because he asked me to! I think it makes him feel a little calmer, or less lonely, and I am grateful for that. We see little enough of each other during a normal week, and it’s getting less as he and Son play more and more golf together…they go in for competitions so I don’t get to play as well…I will be rectifying this, never fear! So back to today. Breakfast was interesting people-watching! The young professionals chowing down, quietly at first, casually dressed ( one in denim shorts…perhaps only a British Golfer would understand the shock! ), each nationality at its own table. Then the referees slowly came in, some had already been out starting the competition. The noise level rose. Author thebissonPosted on June 4, 2013 Categories UncategorizedLeave a comment on Missed art!